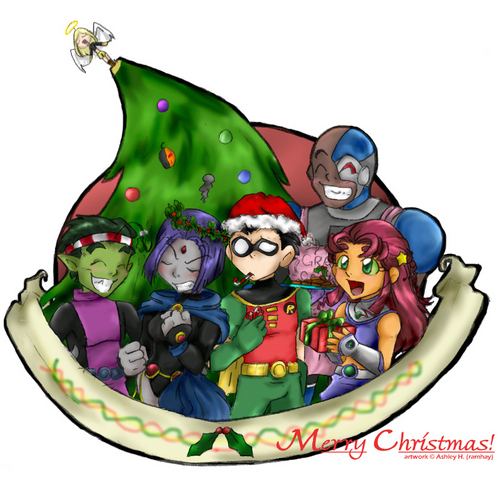 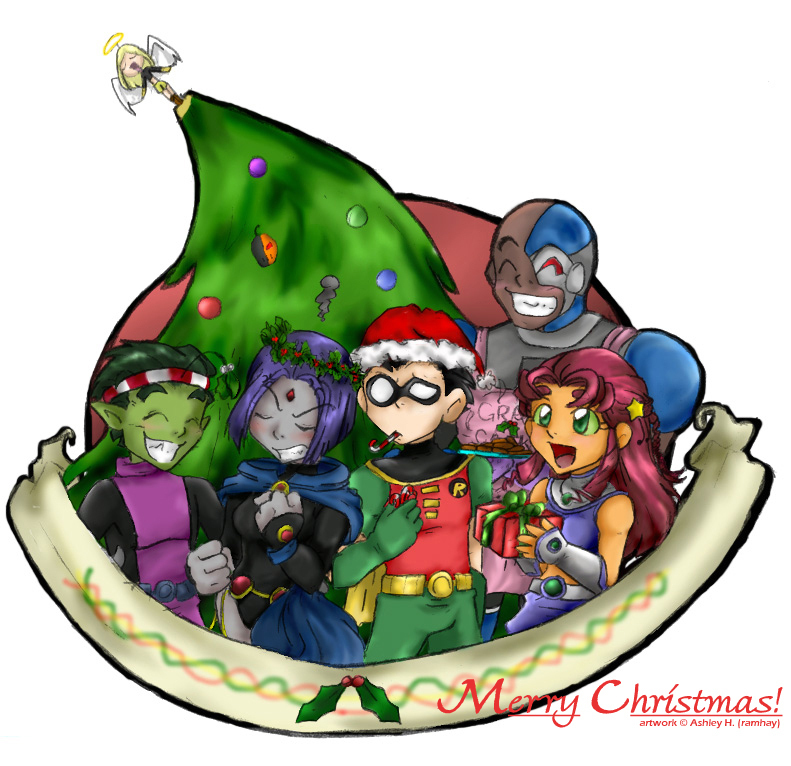 Merry krisimasi. . HD Wallpaper and background images in the Teen Titans - les jeunes titans club tagged: raven teen titans robin teen starfire titans beast boy.